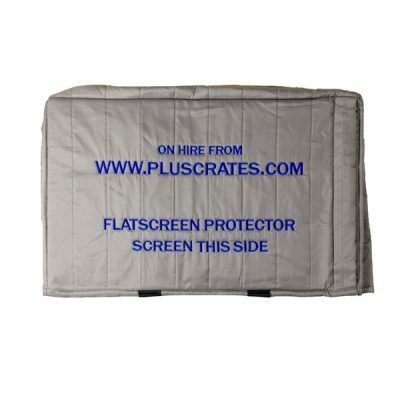 Pluscrates has added a library trolley with twice the capacity of other folding file trolleys on the market to its rental product range. 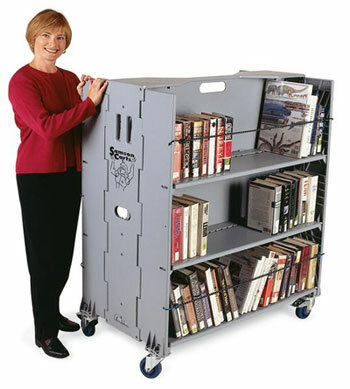 The specialist library trolley is being supplied by Samson Cart and allows access and movement of up to six linear metres of books, files or storage media using its six- shelf configuration. However, when only three linear meters of material are being moved, the cart can simply be altered to offer three loading shelves with balanced stability, saving on the footprint space occupied. 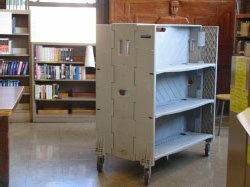 When the unit is not in use, the folding mechanism of the cart means it compacts to just 32cm by 107mcm. 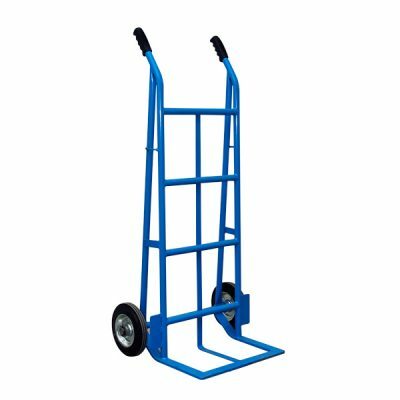 The Samson cart is made from 100% recyclable content and has ergo molded hand grips to make the cart easy and comfortable to manoeuvre, whether being operated in its three- or six-shelf guise. Each shelf of the Samson cart locks into place for use with a 5% tilt angle to ensure that whatever is loaded stays in place. Whether the shelves are folded or fully locked into place for use, the cart’s five-inch polyurethane multi-surface engineered Colson Casters enable it to be turned on its own radius with ease. Each shelf is capable of supporting 56kg meaning a fully utilised unit can carry over 340kg.